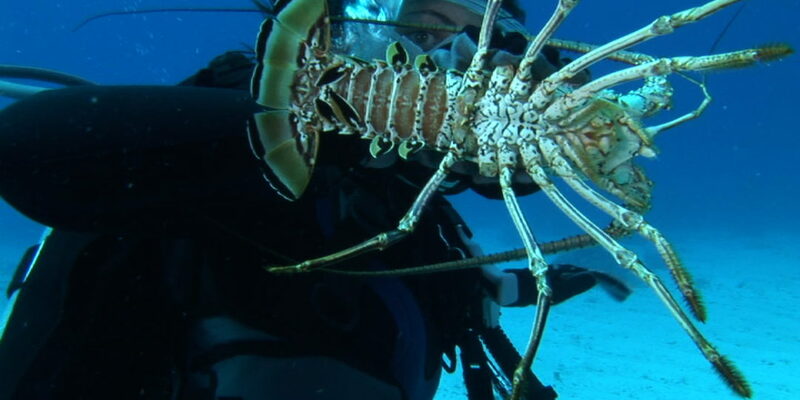 Supported by the Invertebrate Zoology Department at the Smithsonian’s Natural History Museum I took the Smithsonian Scientific Diving course. Some months later we headed to the Carrie Bow Cay, Smithsonian’s marine field station in Belize, to conduct underwater fieldwork on marine sponges. 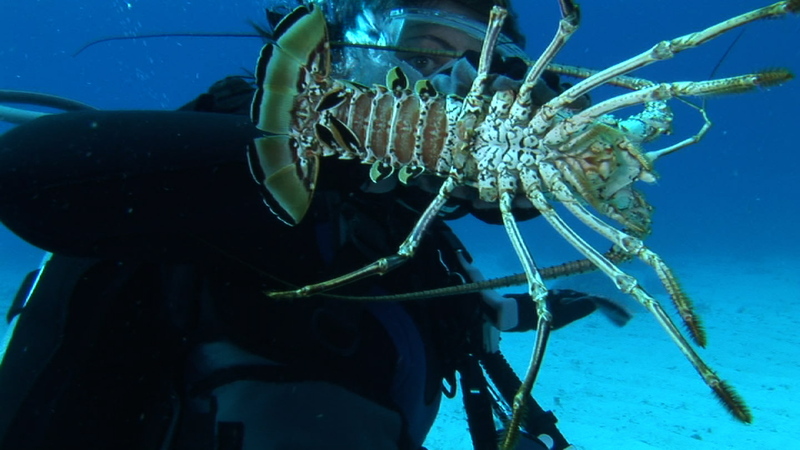 The work consisted of capturing and editing photographic images and video for scientific research. 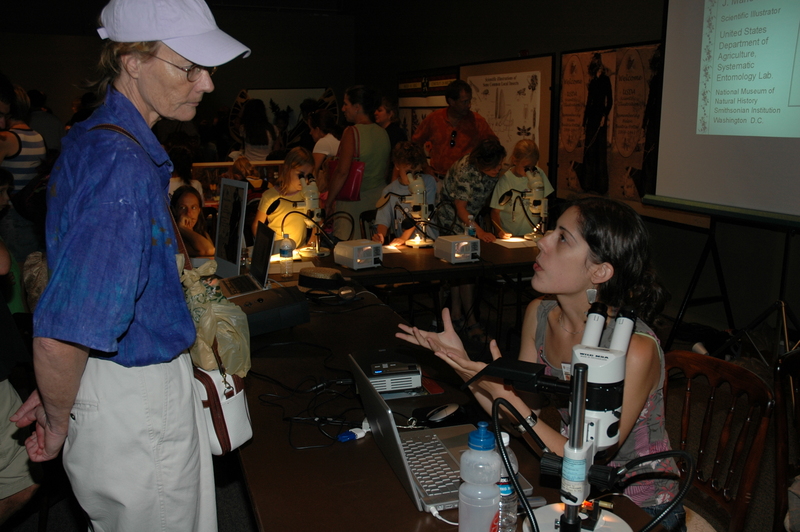 FossilFest was a festival promoted by the Paleontology Department of the Smithsonian’s Natural History Museum to popularize paleontology among the public, attracting families and groups. 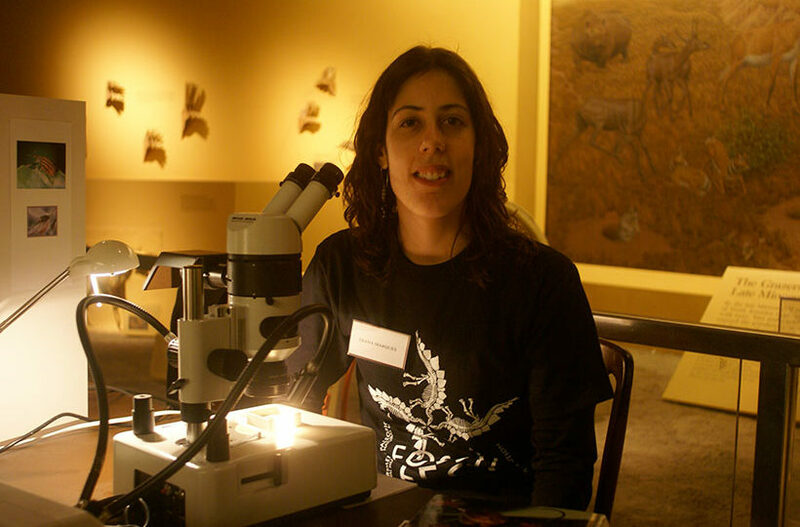 I was there demonstrating how to use microscopes to create fossil illustrations and designed a poster about paleontological illustration. I also created the face-in-hole 6ft panels with three interchanging trilobites for children’s fun! Finished the 3D modeling and animation course at the Corcoran College of Art+Design Continuing Education Program. This intensive course using the software Autodesk Maya provides students the opportunity to expand their academic curriculum attending high level classes with prestigious professors. At the GNSI annual conference I presented about the illustrated book project I’ve been working on. The book will be about the 19th century French entomologist Jean-Henri Fabre and during the presentation I unveiled the first illustration and discussed the computer typeface Fabre I created purposely to integrate in the illustrations. My acrylic piece “A pond’s life” was selected by the jury to be on display at the Members Exhibit at the Ebling Library of the University of Wisconsin. Organized and promoted by several professional and amateur Portuguese illustrators this exhibition at the Natural History Museum included several pieces from my portfolio. 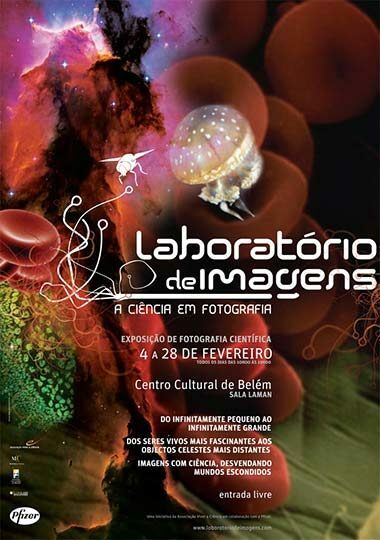 I conceived the syllabus, contents and instructed the first course on Digital Science Illustration available in Portugal. 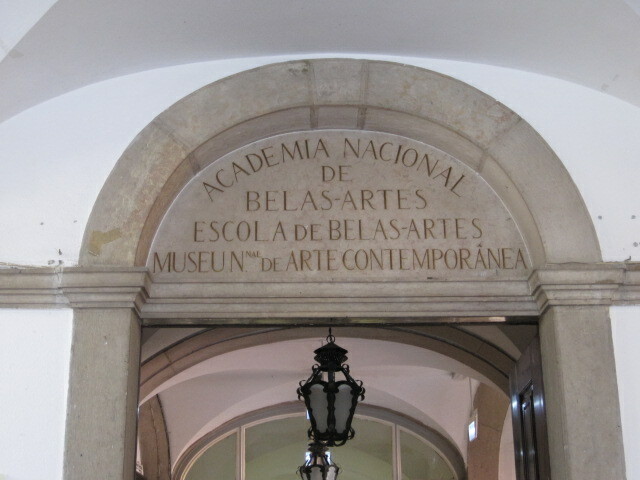 The 10-week class took place at the Center for the Research and Studies of Anatomy and Science Illustration, at the Fine Arts College of the University of Lisbon. More than 700 submissions were sifted through to select 34 pieces in this science photography competition. 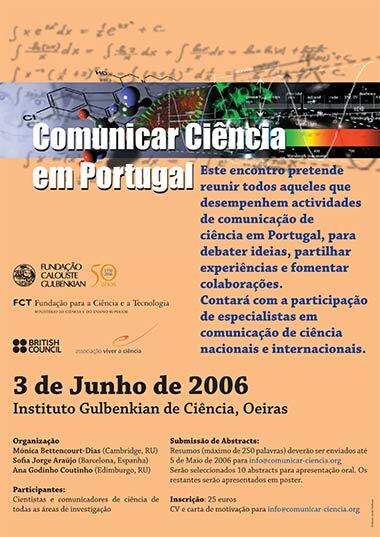 I was proud to participate in the distinctive exhibit that showcased some of the best science images created in Portugal in 2006. “Wockia chewbacca” was part of the collection that afterwards toured around the country and was seen by over 5000 people. 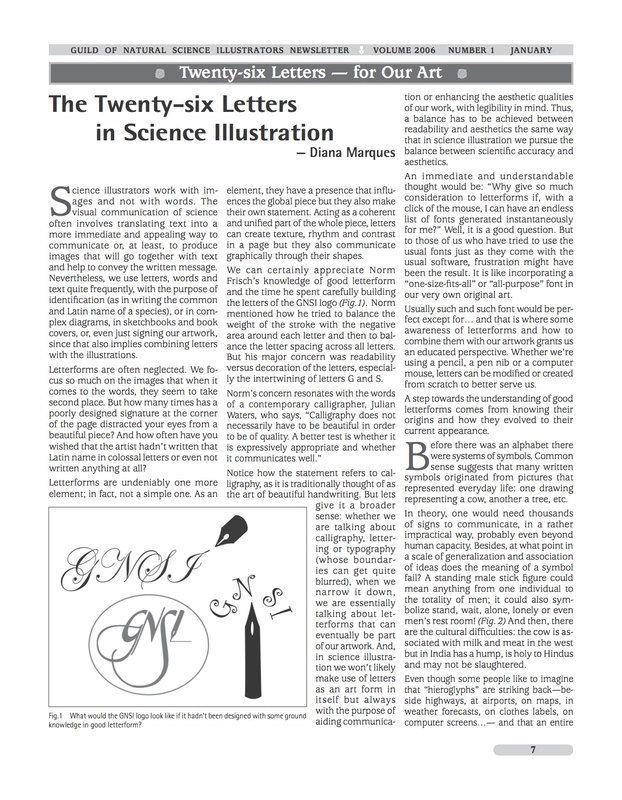 As a follow up of my presentation to the Guild of Natural Science Illustrators annual conference in 2005, I wrote an article for the Guild’s monthly newsletter. 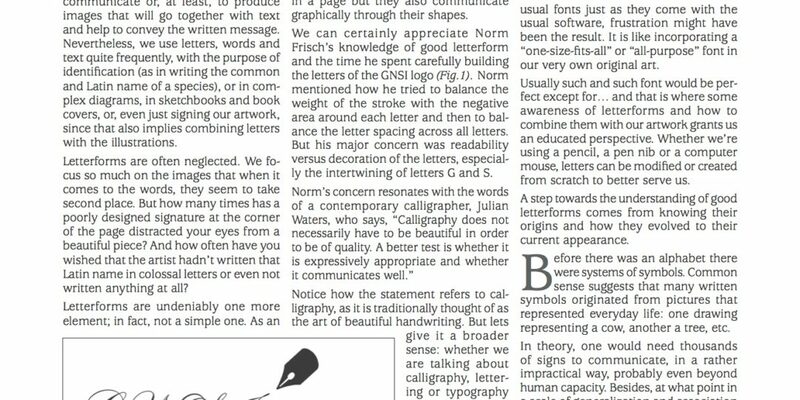 It covers my long time interest in the combination of words/text and calligraphy/computer typefaces with science illustrations. Download it from the Publications page. 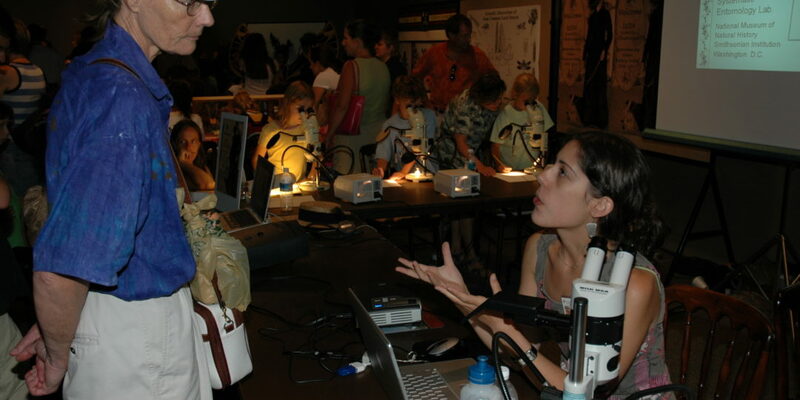 Bugfest was a festival promoted by the Entomology Department of the Smithsonian’s Natural History Museum to popularize insects among the public, attracting families and groups. I participated with a demonstration of digital illustration techniques for depicting insects and created drawing activities for children.